Minister of Housing and Infrastructure, Dr. Mohamed Muizzu, has said that the current government has no intention of bring the people in the islands to Male' City and crowding the capital. Speaking at the Housing Ministry press conference regarding the land and flat offers from Vilimale'-2, Dr. Muizzu said that the policy of President Abdulla Yameen Abdul Gayoom is to develop the entire country and has no policy of developing one place and overpopulating that one place. As the government develops a number of flats in the Male' area, some has speculated the people in the smaller islands will be relocated. 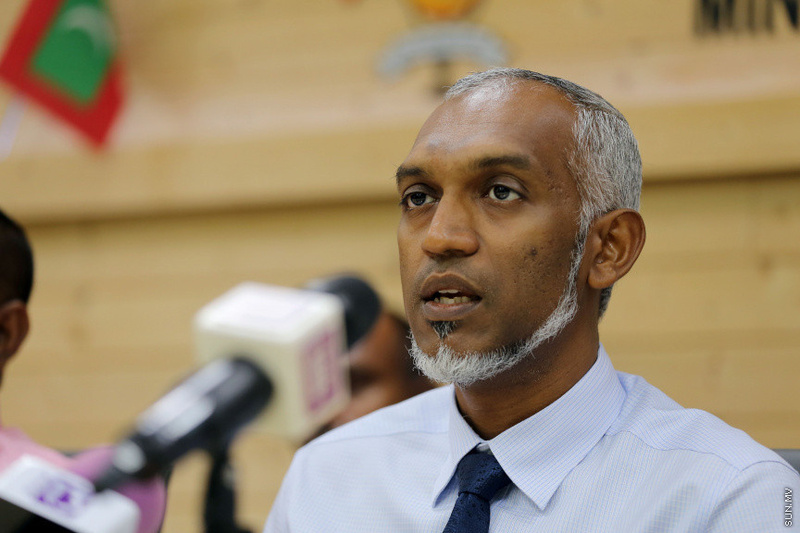 However, Dr. Muizzu denied the speculations saying that no one in any island will be forced to relocate. And the government is helping the islands provide the services the people need. The Housing Minister said that there are no differentiating in developing the country. Noting that a number of airports are being developed across the country, Dr. Muizzu said that the government today is gonna provide so that people can travel from one area in the country to another in a matter of minutes via air.